Robert Mundinger believes data can save us. So he's putting it in our hands. 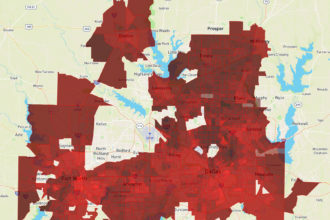 Robert Mundinger wants you to think about a kid in southern Dallas, just east of Fair Park, where the Census Bureau puts the median income at $15,141, where half the residents are on food stamps, where there’s just one doctor’s office. Does that kid have trouble making it to school on time? Is he often sick? This swath of Dallas was gutted by redlining in the ’30s and ’40s, and investment never came. Neither did city services. There are data sets that describe many aspects of that kid’s life. They are plucked from the weeds of federal, state, and local databases; pasted into PowerPoint slides and PDFs; shown to City Hall bureaucrats and nonprofit CEOs who are trying to make Dallas a better place. The people gathering the data mean well. They may talk to each other. But their data don’t. Mundinger has figured out a way to fix that. In August, the 33-year-old consultant launched a project he’s been working on in his free time. It’s called TheMap. 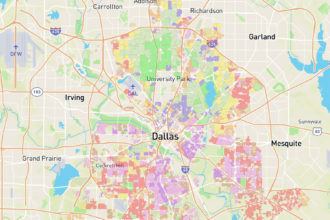 It’s an open-source, interactive web portal that allows users to access an array of data sets that can help people better understand all sorts of things about Dallas. The data sets can be used to generate maps. It’s all exportable. Like so many of the progressive movements in this city, Mundinger’s interest in urban policy can be traced back to the Trinity River. Way back. Like when he was an eighth-grader in University Park in the ’90s, catching a glimpse of those early renderings for a beautiful park between the levees just south of downtown. We know how this story ends, more than two decades later, after the park plans were revealed to be a sort of bait-and-switch for a giant toll road. The park was never built, and it took until 2017 for the City Council to kill the toll road. Only now are we moving forward on the park. Mundinger, remember, is now in his 30s. “I think I became cynical based off that one project, which is why it’s so important to me from a personal perspective,” he says. Was there any other project that stuck with him after all these years? He cites Victory Park, the lauded mixed-use development near the American Airlines Center that never really generated the promised housing and bars and restaurants that were touted when it opened in 2001. The area was a ghost town when the Mavs or Stars weren’t playing. “Victory was a huge deal at the time and, again, having learned about that and seen the execution and how stuff actually happens—as opposed to your idealistic version of things—I think it gave me a decent perspective on expectation vs. reality,” he says. 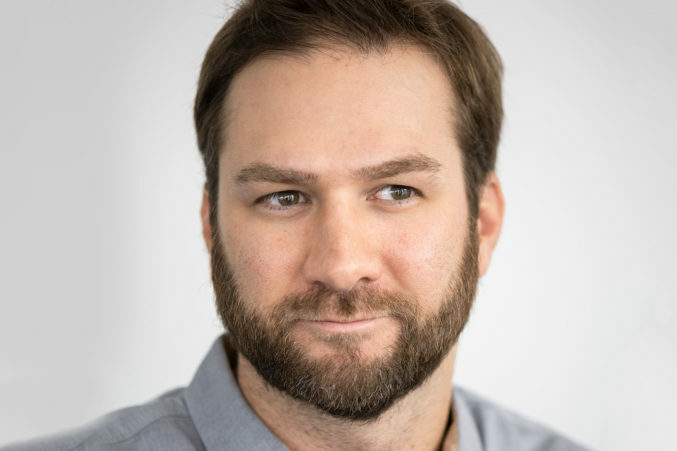 Mundinger was a finance major at the University of Texas and “doing a lot of tech stuff.” He landed a gig with the Dallas education nonprofit the Commit Partnership, and started exploring data-mapping, layering federal government data over what was available locally. 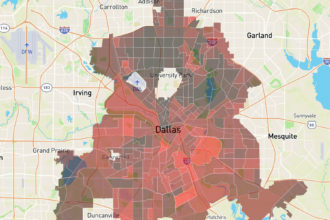 This led to a project for Early Matters Dallas, where he built an interactive data map that showed neighborhood-by-neighborhood availability of early education programs, as well as the nearby demand. He was inspired by some of the open-source data projects popping up on blogs in New York and San Francisco. One person used New York City data to show the paths of its taxicabs. There was nothing like this here. Mundinger went back to the Trinity toll road, using data to debunk the idea that it would benefit residents in Pleasant Grove by shortening their commutes to work. He would even use some of the data he developed himself—he’d time the drive along Riverfront to the Medical District, to show that there was a high capacity road parallel to the freeway that was under-used in the mornings. Years later, he has applied that same idea to exploring induced demand—when you build it, they will come. Mundinger knows that’s not just for him to decide. But he can put all the data sets together in one place to help people visualize it. So what do you want to know? Do you want to learn about the problems facing housing? There is data here that can show you how poverty is concentrated in parts of town, and you can explore health outcomes and transportation access and code violations and the availability of simple services like a doctor’s office. You start to see patterns. Maybe certain parts of town need help beyond housing. Maybe plunking a development there isn’t the best way to fix the problem you’re trying to solve. “I wanted to be able to see the city holistically, to where we could make decisions more efficiently,” Mundinger says. He has put all that and more in your hands at TheMap.io. What will you do with it?